What is Amagi Brilliant Park? The series follows Kanie Seiya, who was forced to take the reins of a manager in a run-down theme park, which is in dire need of management change and guests in order for it to remain relevant. Kanie would then unravel his talents in this theme park to try and turn around their fortune. Kyoto Animation has this habit of plucking a light novel out of nowhere and adapt it, turning them into a sensation overnight. Most of their selection were normally based on the entry for their award which is rarely to never being handed out to any participant, but at least the honorable mention received an adaptation. While many light novels that they adapt suddenly becomes popular, such as Chuunibyo demo Koi ga Shitai or Free, to which both series was recognized for revitalizing the genre, not all were as succesfull as them. Example for this are Musaigen no Phantom World and Kyoukai no Kanata. Both are action-oriented light novel of which Kyoto Animation’s touches convolutes them into one gigantic mess rather than giving them a noticeable limelight. 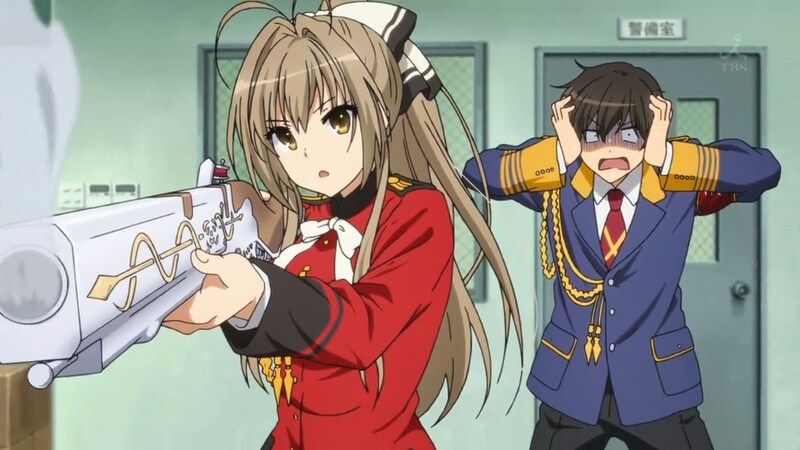 And what about Amagi Brilliant Park? 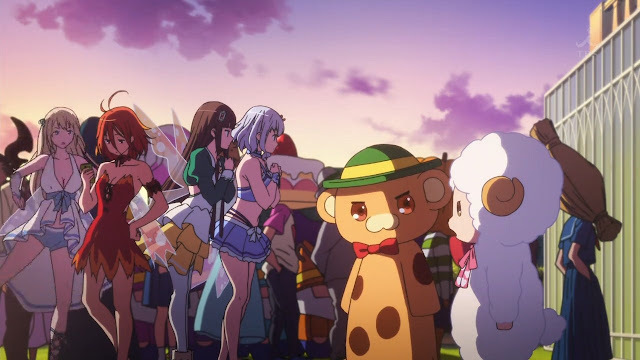 Amagi Brilliant Park, or Amaburi in short, is one of those KyoAni’s work that is neither good nor bad, just fine. KyoAni did not bother with the source material too much and the story remains the same, unlike Chuunibyo and Free, of which source material was only used as a base for a much more original works in the form of adaptation. Yes, Chuunibyo and Free’s adaptation totally differs from their original source material, which in turn, did more good to them rather than harm. Perhaps it is the lack of change in the source material that did nothing to this series. Or perhaps the removal of more darker content? I’ll get to that later. Amaburi contains all the aspects that KyoAni is adept at on many of their works, such as the exceptional camera works, beautifully-animated characters, and gorgeous visual. Not to mention the jazz-like music that is used for some of the BGM which I truly enjoyed hearing and totally fits the respective scene as well. 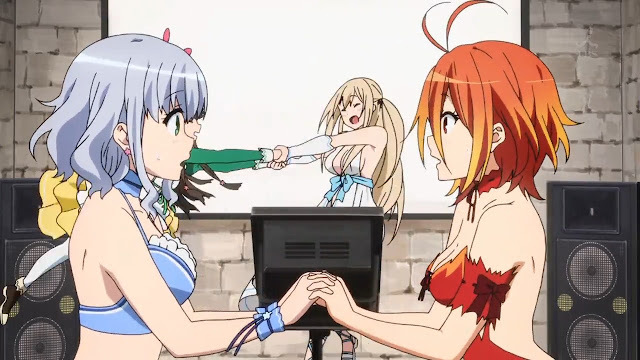 Those aspects adds to Amaburi’s brilliance in execution. But, the problem is not that. Amagi Brilliant Park looks beautiful in and out. And the plethora of unique characters also adds to the charm to the series, for better or worse. The plotline were too shallow if I do say so myself. Kanie, the protagonist, were tasked to turn around the fortune of a rundown theme park, which is going under in any fleeting seconds it passes, and brings at least 500.000 guests in just 3 months or so. That seemed impossible to achieve, but since we’re in anime, it could happen. There are mostly no other conflicts other than the penultimate episode, in which the park is just a shy-away from being safe, and was able to achieve victory in the climax. It was enganging and brilliantly-done, but it was just that. That episode is the only conflict-heavy plotline which does not linger on character development episode. Speaking of episodes, most of the episodes do not dwell much on the progression of the story, and could be seen by some as just a filler episode which acted as a spin-off to the main plotline, such as the recruitment of Dornell and Ruby Dragon, the summer pirate attack [Which serves as the fanservice episode as well], or the Kanie got sick episode. Honestly, despite all seriousness, it just has this vibe of being a filler episode. Most episodes mostly serves as a comedy instead for story progression. Though the character development episode is always great, which is normal for Kyoto Animation. Each episode are treated with a light comedy that lets us chuckle a little. However, when Tiramie and Macaron are in an episode, then expect it to be a comedy-driven episode, since their appearance is enough to merit any episode they’re heavily featured in a comedic one. Though I must say that the character-driven episodes are more interesting to watch and as enganging as the penultimate episode. Since this is KyoAni’s trick of the trade, it could easily be seen as to why these kind of episodes are well-done are enganging. It serves as a great way to make the audience connects to certain character and actually care about them. Though if there’s something about the character that I am willing to complain is that there is too much character crammed on this series. The main characters are limited to just Sento, Kanie, Latifa, and to certain extent, Moffle. However, the side characters are too numerous to list, and because of that, most of them were not able to gain their character-focused episode, most notably Tiramie and Macaron. 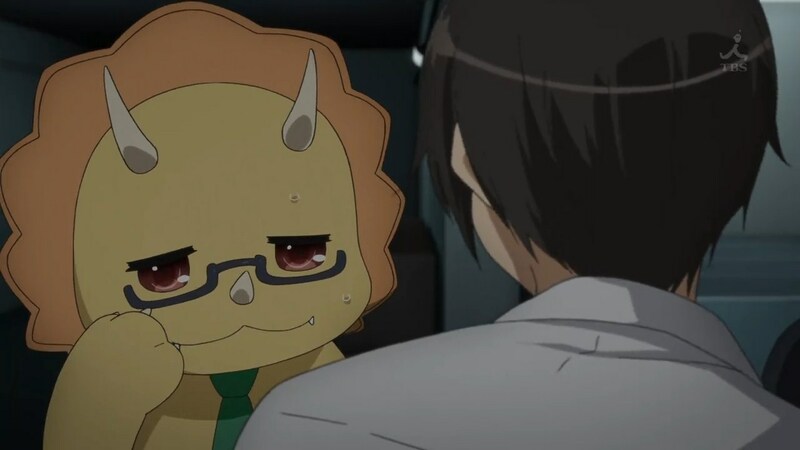 Speaking of which… The reveal of the main antagonist is somewhat predictable, since he was the one who antagonize Kanie and the park silently during his appearance, and to be honest, his maniacal face was just too generic and just like how other antagonist got their face in most of KyoAni’s work. In terms of character, the main character are well-developed for the audience to enjoy and connect with. Kanie, despite his narcissism and arrogance, has his reason for staying like that, and the fact that he is resolved to save the park and Latifa is just great. Honestly, his bonding with Moffle is one of the best scene that this series has to offer. Latifa was good too, except for most of the time she is bedridden. I liked the fact of how KyoAni played the audience, teasing the ship between Latifa and Kanie due to what happen in the first episode, only to shift it as something like a brother-sister relationship, as after Latifa was saved by Kanie, Latifa has this vibe of seeing Kanie as a big brother, and the same can be said to Kanie. And his ship was, hopelessly, with Sento. Sento is introduced as a deadpan character who has a hard time expressing her emotion, which led to her charm, to be honest. At certain times, she had hard time making certain remarks or expression, causing an awkward yet hilarious scene, and that is why the heartsleeve fruit episode was so remarkably funny, since KyoAni nailed her deadpan humor. And unlike Latifa, her obvious romantic feelings she had for Kanie is as clear as a day during the penultimate episode and the OVA. Her backstory is also well-done, since she was portrayed as a military who was forced to take the reins of a manager and led the theme park to the brink of extinction, something she was ashamed of and why she thought Kanie could help. Latifa's character was mildly explored in the series. 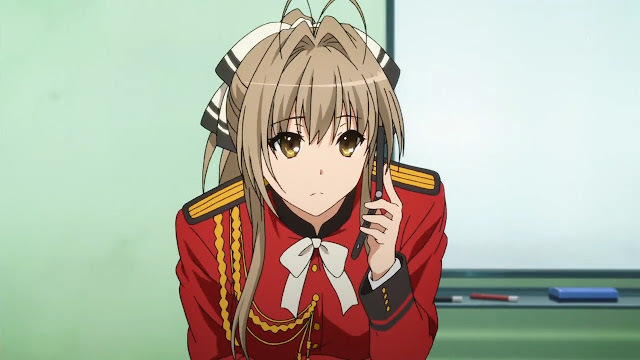 As well as Sento, though she has more appearances to her name than Latifa. Not to mention her muskets were subjected to the comedy. While great at first, those musket shots are becoming repetitive by the 5th-6th episode to be honest, and those who received are either Macaron, Tiramie, or Moffle. And Moffle was a great character too, though he got relegated to just side-character duties at certain events, which might hurt his credibility a little, since he is dubbed the three stooges by Kanie. Nevertheless, his defensive behavior towards Latifa and how he respects other character is great. And since he got more screentime than any other side characters, it is fair to say that he is a main character. And the comedic antics he shared with his stooges, which is Macaron and Tiramie, serves as the best bit of the series to be honest. Despite serving as a good punchline, the musket became repetitive later. The comedic routine that these three performed are the best of the series. For trivial purposes, I’ve read a thread in the internet of how the names of the three main characters are a play for a much-more relevant singer. Kanie Seiya is Kanye West, since the Seiya had a character for West in the japanese. Isuzu Sento is 50 Cent, for the same reason. And lastly, Latifa is Queen Latifah. And even the antagonist got the same treatment, in the form of Chris Tucker. Trivial things, but it was nicely done by the author. Speaking of author, then we return back to it’s roots. As I said before, there are changes made for the adaptation that is questionable in my opinion. 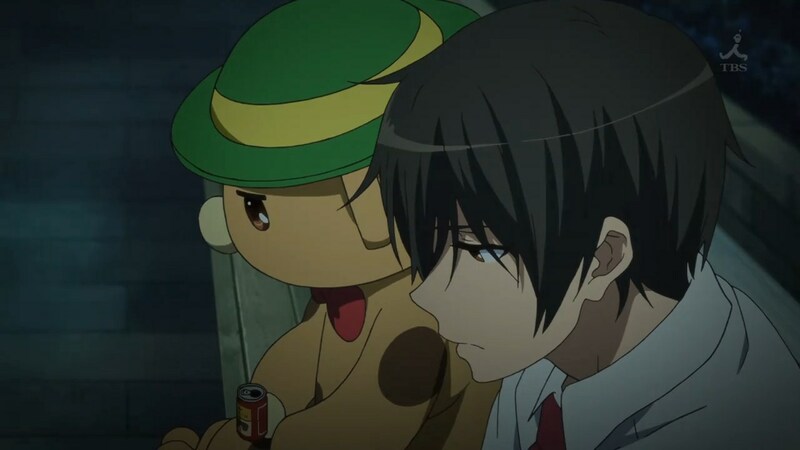 Some of the changes were Latifa’s blindness and how the penultimate episode and the climax chapter is being played, in which the light novel were more oriented to a dangerous crime, in which Moffle had a hand in helping out. 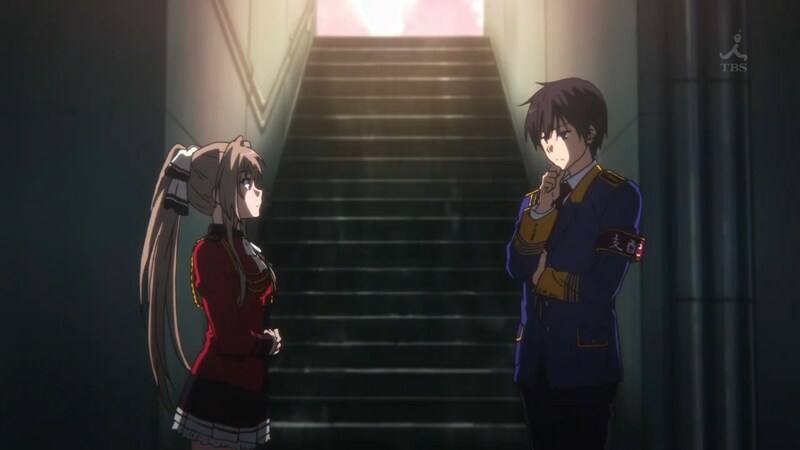 The light novel were much darker than the adaptation, which is somewhat the main attraction point of the series, but KyoAni had to adapt them out. Perhaps it is to fit certain audiences? Who knows. If you are curious on how the penultimate and climax is different, then read this passage, if not, just skip it altogether and continue one paragraph below. Spoiler Alert. 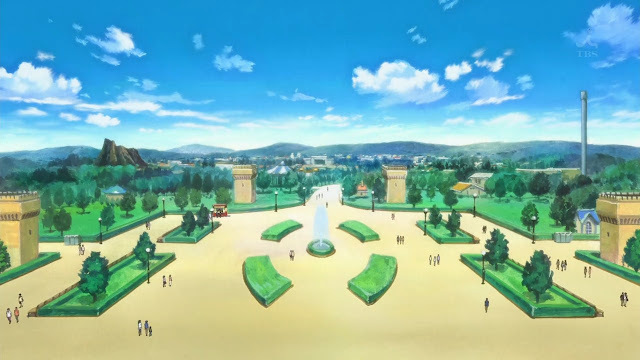 In the anime adaptation, the two soccer clubs were just looking for a stadium to play, in which the theme park offers their stadium in exchange for visitor, whereas in the light novel, Kanie and Moffle worked together to make sure the stadium got burned a little bit and become unusable for the soccer match, allowing the match to be played at Amaburi. The light novel offers more suspense and darker approach, but most of them were adapted out in the adaptation, which is a shame for me. The bonding time between Moffle and Kanie were great, but far less darker than in the source material. And like I said before, the visuals were great. Characters are animated beautifully and gorgeously drawn. It is clear that KyoAni totally put their effort in animating the best visual possible, as most of the audience seek a better visual to a better story, they said. Camera works were also great, much like the usual of what KyoAni normally does. 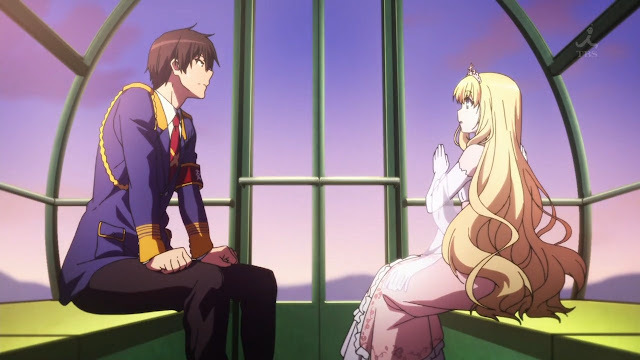 And lastly, the entire Amagi Brilliant Park was great sight to behold, the background was well-drawn and beautiful to stare at, totally complementing the series. Voice-acting was good too. All of the voices totally fit their character. 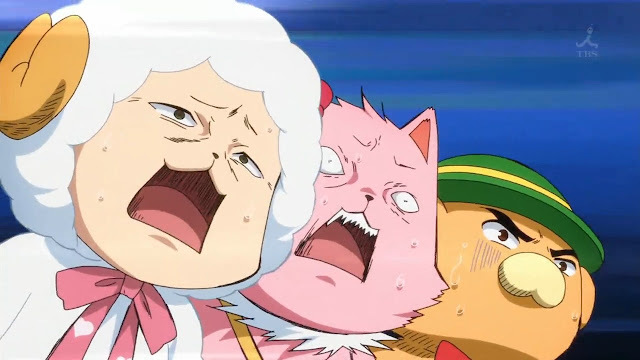 However, if asked who was the one doing the best work in this series are Macaron and Tiramie voice actors for me. Ryoko Shiraishi and Ai Nonaka put on both of their comedic best in this series. While sounding adorable at times, their antics are somehow backed by their voice. And since the English dub was released already, I was able to see just how much the English dub fare in this series. And for me, the magic of voice that Tiramie and Macaron had in the japanese version was gone in the english dub. They both sounded too forced, and especially Tiramie, who sounded too high-pitched. However, while the dub was not that great, one of the characters totally stood out as the best, Sento Isuzu. Sento’s voice in the dub was somehow spot on, correctly capturing her deadpan humor and behavior, as well as her maturity. While there are some questionable moments in her english dub, the dub was nevertheless far superior than her japanese voice in my opinion. Sento provided the best voicework in the english dub. 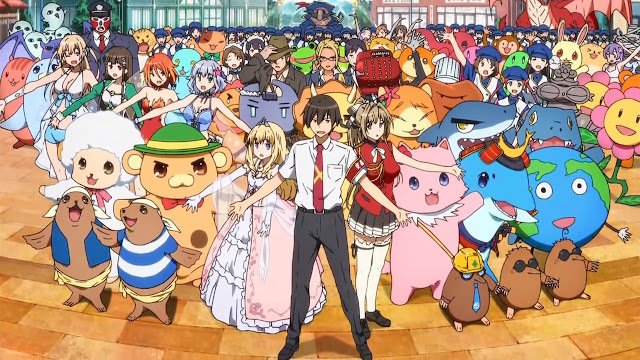 All in all, Amagi Brilliant Park is a good series, held back by one factor which it totally lacks, good plotline. It is satisfying, but most of the episode felt like a spin-off rather than how it actually weighs in the story, since most of them were too goofy. Characters were okay too and the comedy was fine. Despite the KyoAni’s factor, which improved the series as a whole, it could still not enough to make this anime being called either good nor bad. I had a hard time figuring out the audience for this series, since it is laidback at times, but not too laidback. It does not contain any action, but had the suspense of one for some reason. I guess the comedy, and especially, the KyoAni factor is the two main factors of how this anime received so much coverage back when it was airing. And I especially had a hard time figuring out why that OVA-bound episode are aired as the final episode. 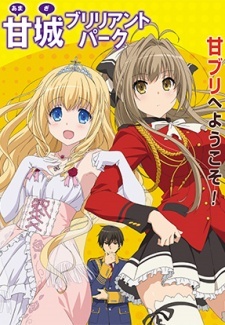 However, we all can thank Amagi Brilliant Park for finally getting Kyoto Animation out of their in-house work and finally adapt outside work, such as Hibike! Euphonium and Kobayashi-san chi no Maiddragon. The Good : Beautiful animation, as expected of KyoAni’s works. Comedies are lighthearted, but can be wacky good at times. Great character-focused episode. Most episodes are slow, so it can be easily enjoyed. Great theme. Sento’s English dub. The Bad : Shallow storyline, dependant on one main factor. Too much character. Some darker content are cut in the adaptation. Most episodes felt like a filler. Highlight moment : Moffle and Kanie’s bonding scene. The penultimate episode. Final Score : 3 out of 5. Good show, but not good enough.